Disclosure: I received an ebook copy of this book as well as a DVD of Miss Sarajevo in exchange for my review. Published in Britain to great acclaim -- a startling, gut-wrenching memoir of war, personal dissolution, and rebirth -- based on the author's experiences in Bosnia. When tragedy strikes Bill Carter's life he finds himself drawn to an unlikely place -- Bosnia, in the midst of its civil war. Searching for meaning in the heart of darkness, he manages to find lodging in an abandoned tower block and sets out getting supplies to the starved, besieged citizens of Sarajevo. It is there that Carter emerges from his stupor. Inspired by a community of people working to bring relief to the city, he daringly enlists the help of music group U2 and its lead singer, Bono, who set up satellite links on the band's Zooropa tour that allowed ordinary citizens of Sarajevo to speak unedited and live on 90-foot television screens to thousands of concertgoers worldwide. Just as Michael Herr's Vietnam memoir Dispatches captured the horror of war for the '60s generation, Bill Carter's Fools Rush In will be the seminal book for this generation on the visceral and transformative impact of war in our time. There is no denying it – this book is long. Very long. I tend to think of myself as a rather quick reader, but this book easily took me a week, if not a little over a week, to read. But I wouldn’t put it down if you asked me to! 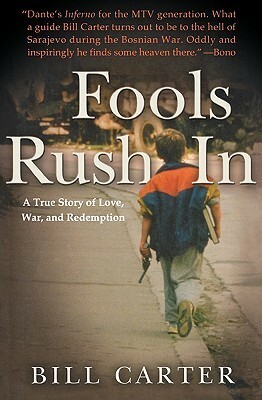 Fools Rush In is unlike any book I have ever read. Bill Carter doesn’t have to go to Sarajevo. He doesn’t even need to be in that part of the world. But he choose to. He decides that is what he wants to do. He joins a group of men that deliver food and water to the people that are stuck in the midst of this war, but as time goes on… things change for the author. The purpose for him being there changes. Fools Rush In shows a side of battle that not many people witness. The author isn’t on the battle lines. He isn’t fighting in the war, but he is right in the middle of it. The author uses his book and his documentary (and his time in the war zone) as a means to bring attention to what is going on. While the rest of the world buried their head in the sand, Bill Carter was in the middle of it all with the people. 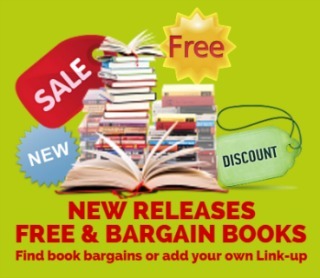 Fools Rush In will definitely give the reader a different perspective. Bill Carter, a native Californian, is an award-winning documentary filmmaker, photographer and journalist. He’s the director of the documentary film, MISS SARAJEVO (produced by Bono of the Irish rock band U2) and author of the books FOOLS RUSH IN and RED SUMMER.